Big Brothers Big Sisters of Danville Area held its 26th Annual Pancake Breakfast in the Large Dining Room of SOVAH-Danville on Saturday, December 1, 2018. Besides the wonderful breakfast of pancakes and French toast with sides (made by Ms. Dorothy), the youth enjoyed playing ring toss games and making holiday crafts. 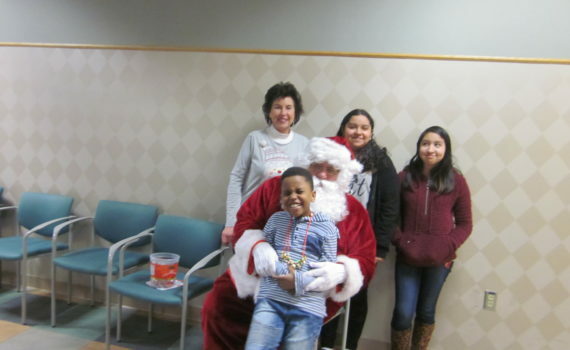 Entertainment was provided by New Arbor Baptist Church Youth Choir and a visit from Santa. Gifts were provided for every child who was present. Special thanks to our sponsors: United Way; SOVAH Health; Optima Health; and Target -Danville. Goodyear employees spent part of their day supporting United Way by creating this amazing tree for the Decorating Trees for a Cause event at the Institute for Advanced Learning and Research. This is the third year Goodyear has provided a wonderful addition to the fundraiser for United Way. We will see how it "stacks up" against the competition! If you have the opportunity, visit the Community Holiday Light Show in Ballou Park on Monday December 10th, all gate proceeds will go to United Way funded programs. Every act of generosity counts, and each means even more when we give together. #GivingTuesday includes people of all ethnicities, religions and backgrounds. Everyone has something to give, whether it is money or time, both are equally valued! This year United Way of Danville-Pittsylvania County has a goal to raise $5,000 on November 27, 2018 to provide our Read Dan River focus area with books and learning materials. We believe that reading is the foundation of a good education. Click Here to Donate Now. 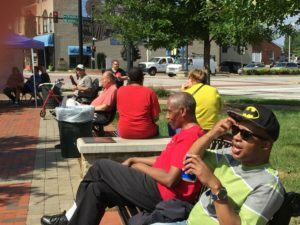 We had three great Picnics on the Plaza in 2018. Thank you to our wonderful sponsors: Gateway Health, River District Association and River District Consulting Group. 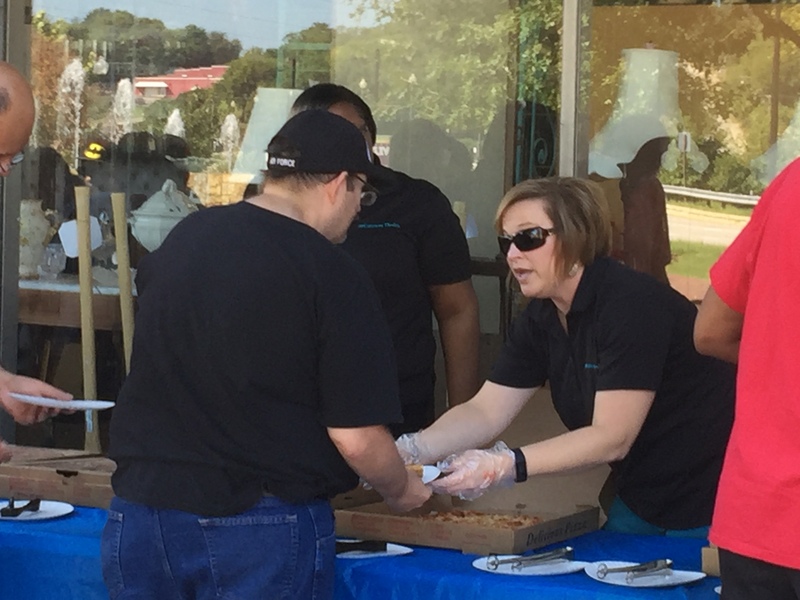 We also want to thank the hundreds of people that supported us and enjoyed a scrumptious lunch for just $3.00. Many attended all three! We look forward to seeing everyone when our Picnics on the Plaza resume on the 4th Wednesday of April (April 24th), 2019. Our Picnics will continue monthly through October. It is impossible for one entity working solo to make the changes necessary in our community. It will take area businesses, nonprofit agencies, civic groups and individuals uniting together to make the greatest impact. 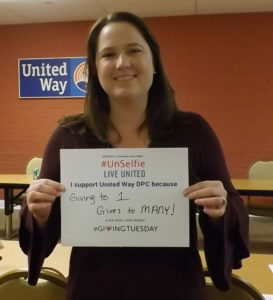 United Way’s Employee Giving Campaign plays a vital role in helping to improve lives and impact our community. 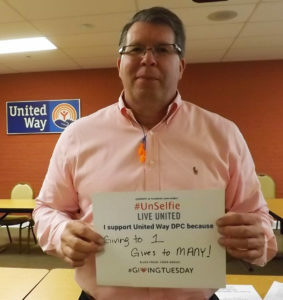 It is through United Way’s Employee Giving Campaign that companies can offer their employees an easy, efficient and powerful way to give back while providing an avenue for them to support their passions and strengthen their community. 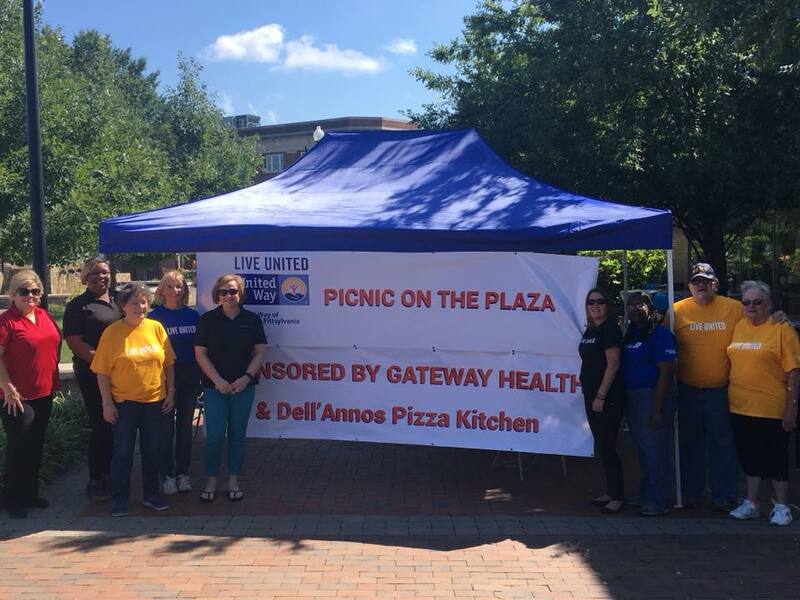 If your company is looking for ways to be impactful in Danville and Pittsylvania County, invest in multiple agencies through one portal, and build comradery among your employees at the same time, then consider partnering with United Way of Danville-Pittsylvania County. Contact us to find out how we can work together to impact our community.